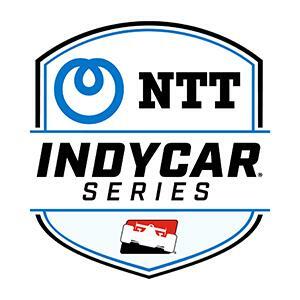 Welcome to the Official Calendar for the 2019 NTT IndyCar Series Season. Click SUBSCRIBE TO CALENDAR to add the schedule to your mobile calendar and receive pre-race tune-in reminders! INDYCAR Grand Prix 7:00 PM - 10:00 PM GMT Watch LIVE on NBC! The 103rd Indianapolis 500 3:00 PM - 8:00 PM GMT Watch LIVE on NBC! Race 1 of the Chevrolet Detroit Grand Prix 7:00 PM - 10:00 PM GMT Watch LIVE on NBC! Race 2 of the Chevrolet Detroit Grand Prix 7:00 PM - 10:00 PM GMT Watch LIVE on NBC! DXC Technology 600 12:00 AM - 3:00 AM GMT Watch LIVE on NBCSN! REV Group Grand Prix at Road America 3:00 PM - 6:00 PM GMT Watch LIVE on NBC! Honda Indy Toronto 7:00 PM - 10:00 PM GMT Watch LIVE on NBCSN! Iowa 300 12:00 AM - 3:00 AM GMT Watch LIVE on NBCSN! Honda Indy 200 at Mid-Ohio 7:00 PM - 10:00 PM GMT Watch LIVE on NBC! ABC Supply 500 6:00 PM - 10:00 PM GMT Watch LIVE on NBCSN!